Product Showcase: Darcie's & a giveaway! As I was strolling through the wondrous isles at CHA, a friend and I came upon the Art Gone Wild booth. There I saw something beautiful. Okay a lot of somethings beautiful. A company called Darcie's. What I saw made me drool, and giggle and just flat out put me in awe. Apparently Darcie's has been around for a while. You might have heard of Darcie's Country Folk. Darcie, the owner of the company, had been a tole painter and and published her books for quite some time. Thirteen years to be exact. When she had been contacted by rubber stamp companies to turn her designs into rubber stamps. That was in 1992. In 2000 the company expanded into scrapbooking products such as paper, rubber stamps, clear polymer stamps, stickers, die cuts and their exclusive "U-Cuts". Their products are stunning. Truly. Well for the first part of this article I will be focusing on the Chipboard Shadow box and the U-Cuts. The shadow box is super simple. You just adhere the patterned paper that you want and the freedom is great! 1. The shadow box comes with an acrylic top that is enclosed in blue wrap to protect it from scratches. It is completely enclosed. FAB! 2. The U-Cuts give you endless possibilities. You can mix and match with different sets and make amazing combinations!3. The U-Cuts are good sturdy cardstock weight and that makes it easier to cut out and adhere where you want. What I disliked:1. I would like the U-Cuts to be die cut, but then U don't Cut it and hence the price goes up. Don't you just love how the colors just pop and that dress form is flippin' adorable! All in all I really am a huge fan of Darcie's products! 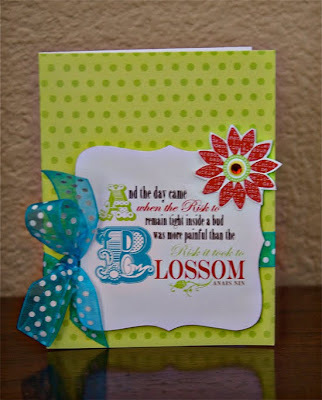 Be sure to check in on Wednesday to get the down low on Darcie's stamps and patterned paper! * 12 different sheets of "U-Cuts"
Over $60 in value! WA HOO!! LOVE that acrylic shadow box frame - very nice! Love their designs - gorgeous! Love your sample projects - always so inspiring! Thanks for the review! I love the colors and patterns! I just love that dress form and the colors of the entire collection are perfect! The collection is adorable and so are your projects! Darcie- that is a brand I haven't heard of for a long time. I remember some treat box templates. These stamps are great!! I love them and they look like they are high quality images. Beautiful colors! I would so love to put some to these products on my to do list! Very pretty colors. The Ucuts are cute & it's fun to cut out paper embellies! Would love to try them out! I hadn't heard of this company before now either. I'll have to check them out. Luv the frame! wow, that stuff is absolutely gorgeous!!!!! Beautiful! Love your sample projects! What a fabulous giveaway! Love the shadow box frame! This company is also new to me but I love the UCuts, those colors do pop! I would love to know more about this company and what they offer. Sorry that I had never heard of this company before and so glad you shared it with us! Great images! Yay for stamps! I love the color scheme too, it's bright and cheery without being over the top. Oh!!!!!!!!!!!! LOVE LOVE LOVE LOVE LOVE this!!! Thank you soooo much for the chance to win! I love the mannequins that are all the rage right now, and those colors are fan-tab-ulous! Thank you so much! Fingers crossed!!! Loving these stamps - great samples! I am not fond of cutting things out so I would rather pay more and have die cuts instead. Love the designs though. Wow! I love these! I can't believe I haven't seen them before. Gorgeous! Haven't heard of this company before - thanks for the introduction. Looks like some great stuff! Right now if it has a dress form, I am interested!!!! I had never heard of this company. I'm so glad you showcased them because I LOVE what I see!!! The dress form is sooooo super cute. The colors are beautiful. Never heard of Darcie's. Would love to try some and spread the word! These look fabulous! I love your projects! Cute stuff! I haven't heard of Darcie before, but love the looks you put together. I used to love the look of Darcie's country folk wood stamps. They had such a look of country about them. I havent thought of the company in ages. I would LOVE to win and own more of there things. These are so cute! I love the designs! Oooh, i definitely love the colors of this. Would love to win! oh wow, YES! quite familiar with them, and they have come a long way! these are BEAUTIFUL! the projects, and the supplies! Ohhh...these are just too cool...love the colors and designs!!! just beautiful!! so so cute. and your projects are fabulous. what a find, I've never heard of them before. i love the designs and color used. I love that stamp set!!! fabulous layout and frame! The colors work well - soft and pretty! Love the designs! Thanks for a chance to win! What a great find! The color palette is sweet. LOVE the colours!! What a gorgeous collection!! Not familiar w/ the company, but glad you showed it to us!!! Very Neat! Love the colours! and that shaped shadow box is too cool! Wow! Love your cards (especially the last one). Would I EVER be interested in your goodie giveaway! Thanks for a chance to win! FUN! Looks like a cool product. I have heard of Darcies and Art Goes Wild and seen both at a recent Stamp Convention I went to. Great stuff. I'm a Material Girl!! Love the line! love the things you did today! love the collection! i think this line is very pretty! 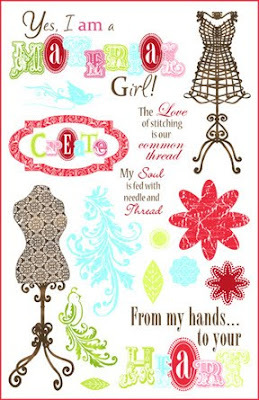 definitely something i would use for cardmaking and layouts! the colors would work for a variety of occasions. thanks for the chance to win! This set is darling and so reminiscent of my childhood. I'd love to play with this collection and I love U cuts; you can manipulate them any way you want. Thanks for the chance to win. Oh my such wonderful products.... I would love these... such wonderful color.. wow!!! Thanks for the Darcies showcase, now I am off to Google Darcies! Love your projects, Ashley! I'm intrigued by Darcie's...never heard of them before, but these look like very elegant products! I'd like a closeup of the stamps too. Thanks for highlighting this company!! Love those vibrant yet feminine colors! My first exposure to Darcie's! Beautiful designs! No wonder she has been asked to design rubber stamps. I do so very much love what you did with the stamps. Tres Chic! wow ashley you made some gorgeous creations! what is not to love..and the colors just pop from the page..hey i will pull out the old scissors and give the u-cuts a go! Love to use shadow boxes for all types of papercrafts and this shadowbox frame looks amazing! I love these things--especially the dress forms! So adorable! 12X24? What a great idea to submit to Darcy's? 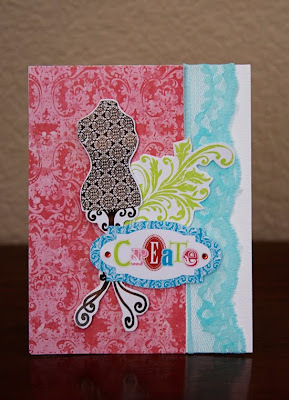 Wonderful projects you've created and those colors really *pop* - love it! What amazing items! I loved the shadowbox. The feminine font and color style really appeals to the girlie girl in me! It's always fun to "meet" a new scrapbook company. The colors are lovely. Great products - love the colours. Great new company (or old company that we have only just found out about). Looks amazing! I love the frame! I haven't heard of this company before but I definitely will be watching out for them now. I love the samples that you made. The shadowbox is awesome - I am always looking for stuff to alter! Not much to dislike! Such a great product and happy to have a chance to win! I am always excited to find something new. Thanks for sharing it. I can't see much not to love about it all. I have never heard of this company. thanks for showing this. Wow, something I was not previously aware, that's rare, I need it!! Wow...good info. I recognize Darcie's from the sewing world. Didn't know about the SB products. Would LOVE to get my hands on that shadow box frame...it looks "to die for". I loved everything you showcased. wow that dress form is so cute! I like your pro/cons. The shadow boxes would be fun ... a nice change of pace. These look so fun. I love your project! I've been wanting to make a shadow box for my daughter. I love the images from Darcie's. I've never heard of any of this before... I'm eager to see some of this stuff in person!! I do however love all the designs! Looks very cool. Love to try it! Love, love and love, Ash! Very cute! I have been seeing dress forms all over lately and I am addicted! The swirls on these are just adorable! Birds, blooms, and dress forms... does it get any cuter? Love your projects and can't wait to get my hands on some product to make my own. Your projects are adorable! Love it all. Very nice things! I haven't seen this line before- I will have to look for it. Gorgeous products! Just love what you did. Wow! Love the stamp images! Fabulous! 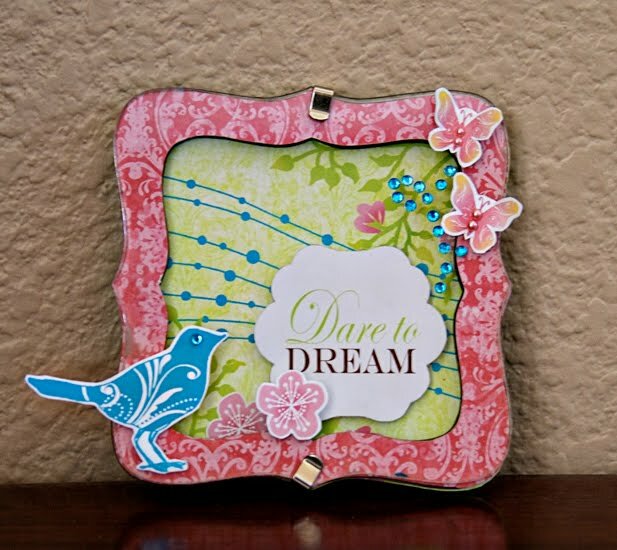 LOVE the designs; very shabby chic, which I absolutely adore! Love the chic-ness of this and the colors are divine! I love what I see and would love to try out some of the product! Thanks for the give-away! Love the stamps and acrylic shadow box frame. thanks for a chance to win. So adorable! Thanks for the chance to win this great stuff!! Cute projects. I saw a Darcies booth at a craft show and liked a lot of her stuff.